Alloy Wheel Repair Wimbledon, When the wheels on your vehicle are scratched, scuffed or otherwise degraded, taking them to a garage and restoring them to their proper condition often means buying a new wheel altogether. However, this is by no means the only option open to you, and at AlloyRefinish, our quality service can restore your wheels to near perfect condition in no time at all, without having to incur the costs of purchasing replacement parts. Based in Wimbledon Park, our mobile units are only ever minutes away from our customer base in Wimbledon, and are more than happy to lend a hand in a moment of need. Wheel damage is a common occurrence when driving on well-used, pot holed roads and in a worst case scenario can be highly detrimental to a both a vehicles performance and its appearance. Getting the right solution should not be expensive or time consuming, and AlloyRefinish is able to deliver an effective, prompt alloy wheel repair service in Wimbledon for a price that beats any garage. 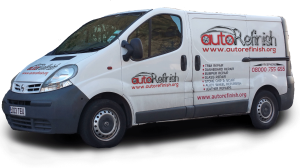 Our mobile units can carry out alloy wheel repairs in Wimbledon wherever you are, whether that is at home or at your office. It is our dedication and perseverance in delivering an outstanding quality service that marks us out as one of the foremost Alloy Wheel Repair Wimbledon companies operating in Wimbledon today, and we take great pride on the recommendations we’ve received from our customers in the past. Mobile Alloy Wheel Repair Wimbledon are available for a competitive low price and cover every aspect of alloy wheel repair and refurbishment. For more information, call us on 0800 0 755 655 or 07739 705 706.